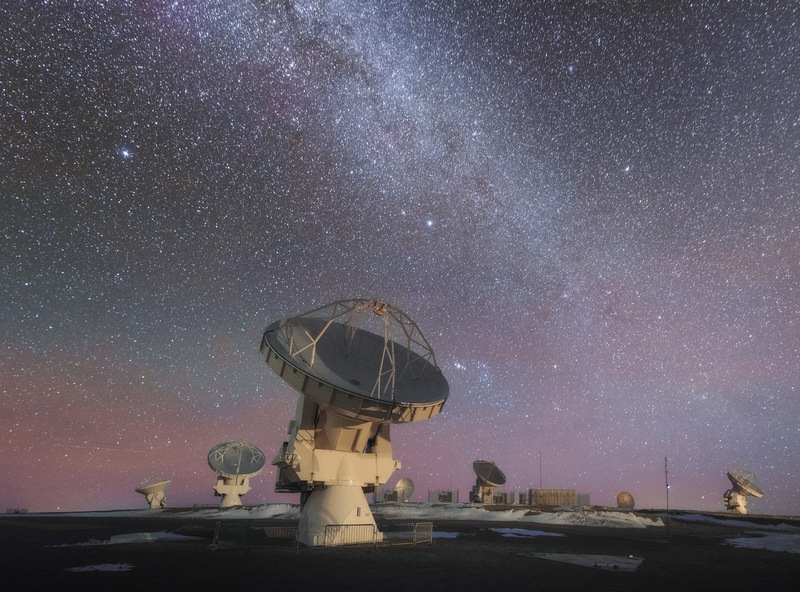 This photo shows ALMA hard at work in the Atacama desert, looking up at the Nights Sky. ALMA (Atacama Large Millimeter/submillimeter Array) is the most powerful telescope for observing the cool Universe—molecular gas and dust as well the distant Universe. ALMA is studying the building blocks of stars, planetary systems, galaxies and life itself.